Discussing his ownership of a Tesla, which he bought to see the advancements of self-driving vehicles for himself, Wozniak told CNBC that Tesla makes "so many mistakes, it really convinced me that Autopoliting and auto steering car driving itself is not going to happen." The use of Autopilot and similar technologies is more useful as a tool to assist a driver in the vehicle rather than being in a state where the driver can simply offer up control to the car completely. "You're almost more subject in a Tesla these days to being aware and watching the road than you used to, because when you lapse, that's when those accidents happen and kill people," said Wozniak. While it could easily be used for assistive driving, such as for cars to spot red lights and stop signs to "avoid some of the accidents today," Wozniak warns potential drivers to "not lose sight of the fact you're not going to get a car that drives itself." 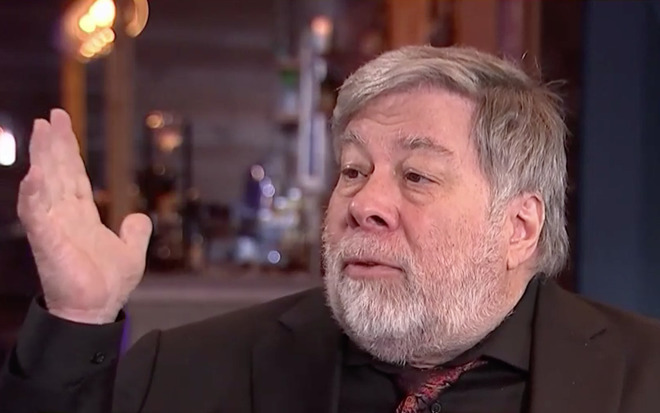 Apple co-founder Steve Wozniak: Tesla makes so many mistakes from CNBC. When asked if there was a time he wished Apple would've bought Tesla, Wozniak admits there was one time, when Tesla was "making a real statement" for electric cars, before the idea became more popular and triggered other car producers to put serious efforts towards their own electric vehicles. For self-driving in general, Wozniak is skeptical. "I do not believe in auto driving cars," Wozniak opined. "I don't really believe it's quite possible yet." One issue raised by the Apple co-founder is that the transport infrastructure itself isn't produced with such vehicles in mind. Roads are built by imperfect humans who are "not as good as nature and mathematics, and even evolution." Apple has been working on a self-driving vehicle system under the name "Project Titan" for some time, including operating its own self-driving car fleet in California. Originally thought to be for a fully self-designed vehicle, the project has seemingly pivoted to just the driving system, with rumored long-term goals of working with ride-hailing services. This hasn't stopped noted analyst Ming-Chi Kuo from speculating the launch of Project Titan's technology in a shipping consumer product by as early as 2023.